The Filtration Barrier be 4-5% higher, but for practical purposes their concentrations in the ultrafiltrate are considered here to be the same as in plasma. on the other hand, some anions (such as phosphate) and some cations (especially the divalent cations Ca2+ and Mg2+) bind in substantial amounts to plasma proteins, and their rate of filtration will be proportional to their free ionized concentration. 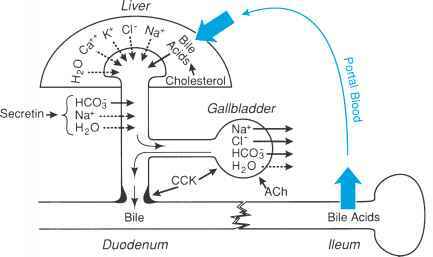 For example, in the case of Ca2+, approximately 50% of the total amount in the plasma is bound to plasma proteins and, consequently, the rate of Ca2+ filtration is only ~50% of the rate calculated from the product of the GFR and the total Ca2+ concentration in the plasma. Bowman's space normally contains negligible concentrations of plasma proteins, so that the CoP difference across the filtration barrier is simply the average glomerular capillary CoP. However, in pathologic states that lead to the presence of smaller proteins in the plasma, or that increase the permeability of the filtration barrier to albumin and globulins, proteins in Bowman's space can produce a significant COP. This would reduce the net COP that normally opposes glomerular filtration and, thus, the GFR may actually increase in the early stages of renal diseases in which the filtration barrier becomes permeable to proteins. The GFR diminishes as these diseases progress because of a decrease in the number of functioning glomeruli.